We know you were looking forward to check out this compilation of templates.com bestsellers for the entire month. So, the wait is over today. We are happy to introduce you to a collection of the most popular themes that saw the light of the day or received major system updates in May 2017. The collection includes ready-made solutions for a variety of purposes and business niches. 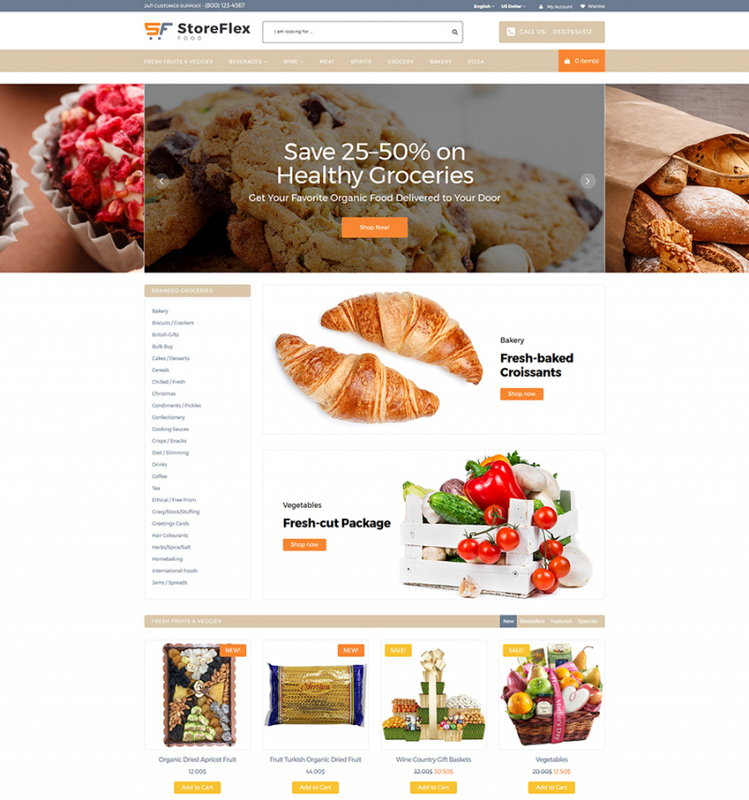 WordPress, HTML5, Joomla, Magento, PrestaShop, and other types of products are featured below. It’s become trendy to build sites on the basis of multipurpose templates or with the help of visual editors. Themes matching these and a number of other categories are featured in this post. Enjoy! The template is designed to appeal to everyone working in the online marketing niche. It is integrated with Power drag-and-drop page builder, making it possible even for the users who do not know how to code build unique layouts on their own. The marketer WordPress theme runs on Cherry Framework 5 and features a number of premium plugins for free. The template will become a rock-solid starting point of coffee shops or other food and drink related businesses. A calm and relaxing atmosphere on the web page is achieved due to the chosen brownish color scheme. 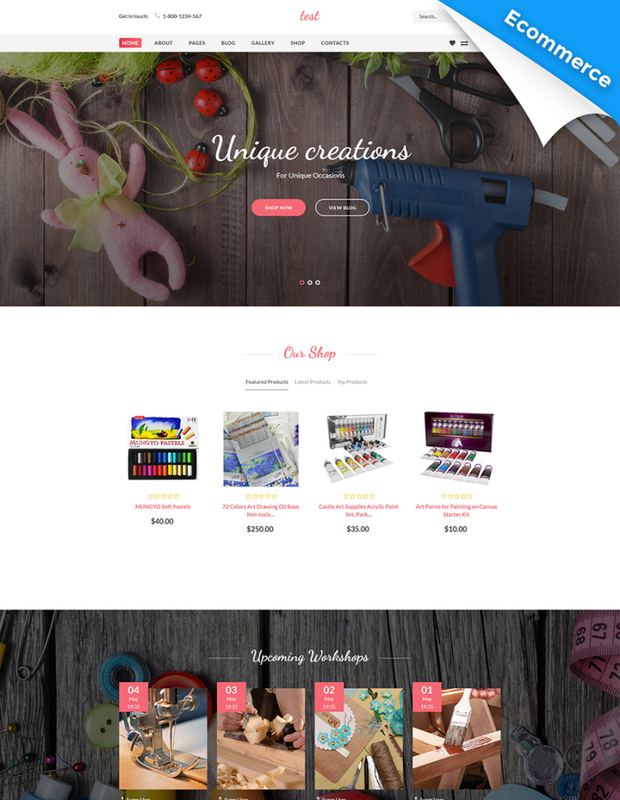 The theme also features a visual composer and WordPress Live Customizer. The theme is intended to bring a professional and reliable online presentation to a number of business projects. A fully responsive layout features a well-balanced structure, bringing the users’ focus of attention on the essentials. The theme’s color scheme can be tweaked by means of the color switcher tool. The availability of a handful of UI elements and pre-designed pages makes it way quicker to get your project on the web. The theme is applicable to beauty and fashion related online projects. The layout is clean and spacious. The theme is integrated with Novi page editor, making it possible to modify the pages without touching a line of code. 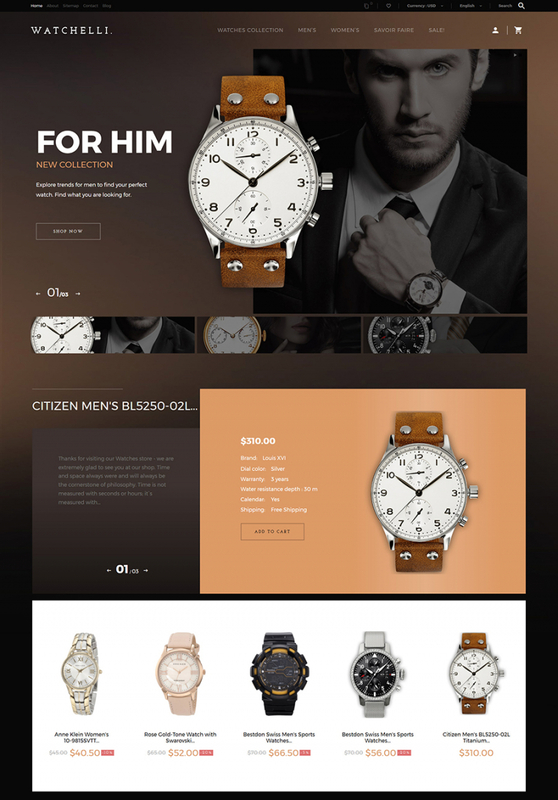 This is a multi-page HTML template enhanced with a rich UI kit. It comes loaded with more than 45 HTML5 pages that are ready to go live straight out of the box. The theme is better to be used for medical, healthcare and beauty projects. A minimalist layout features elements of flat design style. The theme is designed to adjust to all screen sizes automatically. It is integrated with a selection of working forms, pre-designed pages and a rich UI kit. A sticky menu and advanced search simplify the theme’s navigation. This BarberShop design is a brilliant example of self-promotion. This theme is fully customizable, it means that you should have no difficulty handling fonts, colors, backgrounds, page layouts, etc. 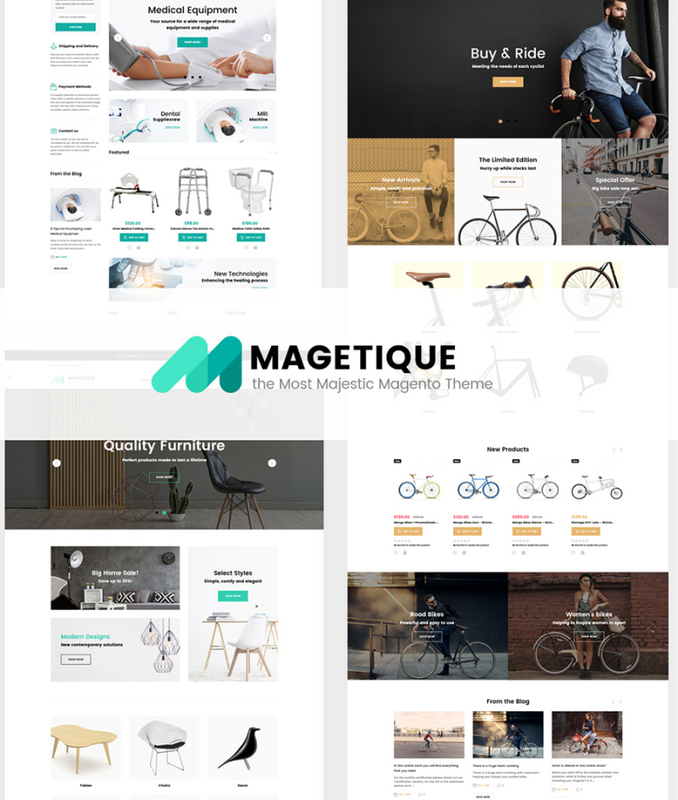 Pick out this pro Magento theme to put together a powerful online project. The theme is fully responsive, thus it will not be difficult for you to draw in guests from all over the world. 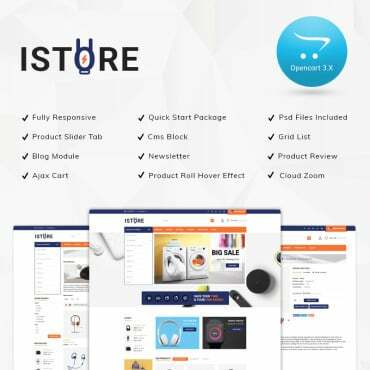 This particular accessories PrestaShop theme may add an elegant touch to the visual aspect of your web site. If you don’t have enough time for developing a personalized design, choose this pre-made option that will enable you to establish reliable online presence. Clean, valid coding and rich guidelines will aid you in transforming this template the way you desire. 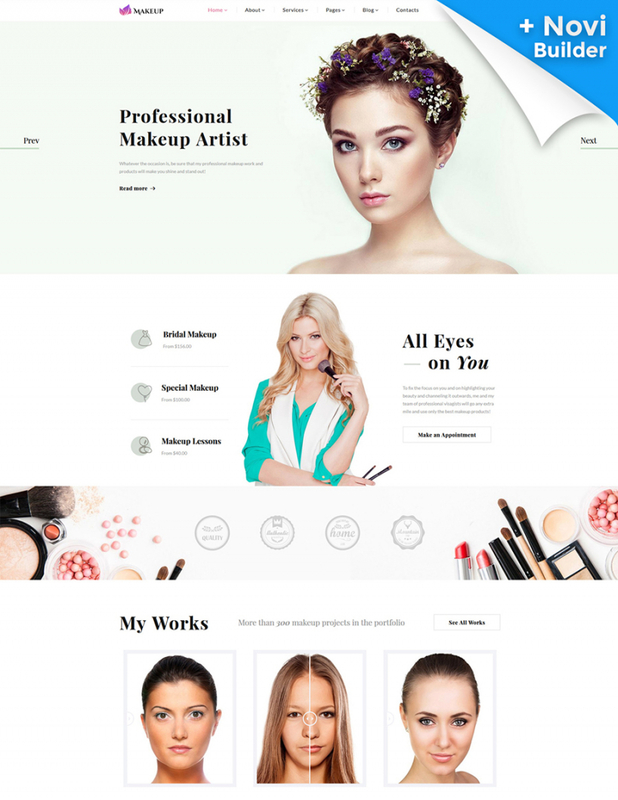 This cosmetics store PrestaShop template is a popular option both for fashion and beauty sites. If you want your organization to be seen on the web, then you should go for this SEO-friendly design. 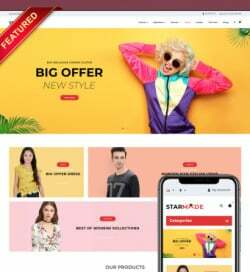 Constructing your web resource on this 100 % responsive design you will make users believe in the stability of your business and present them 24/7 access to your services. This specific template is also richly documented, and comes with professional round-the-clock assistance. 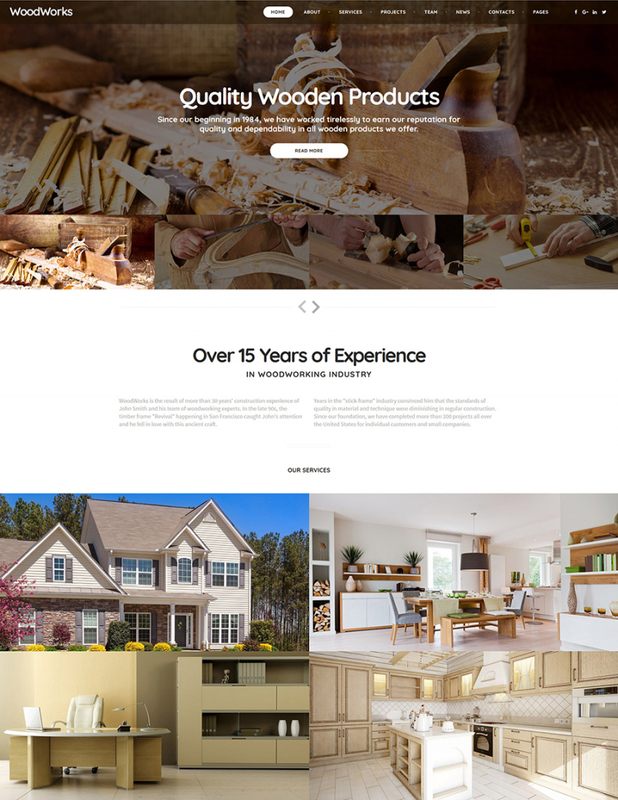 Woodworks is one of the most inspiring interior and furniture website templates. This theme will help your service obtain the number one position on the market of home decor. The web template was built with valid, semantic code and the latest web design trends in mind. The theme’s layout is responsive, so your guests will enjoy website’s features from any gadget they hold at hand at the moment. The majority of template options can be changed quickly within a usable dashboard. StoreFlex is a feature-rich template intended to bring a refined and classical presentation to a number of food-related projects. It is quick and easy to tweak due to the integrated Layout Builder. Smart product presentation and Lookbook functionality are added to enhance the visual appeal of a web store. You will be able to manage the clientele by means of the client categories feature. 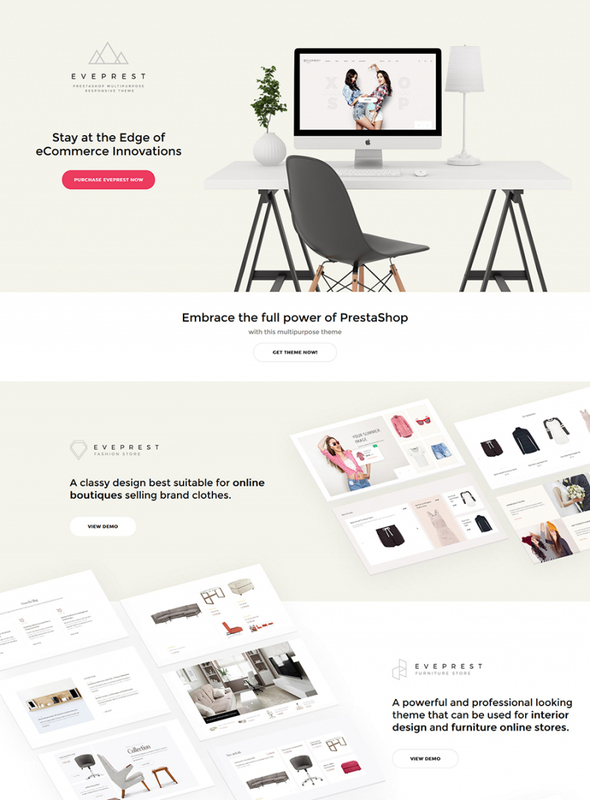 This a feature-rich and truly multipurpose PrestaShop template intended to be used for a variety of eCommerce projects. It includes a collection of 10 niche themes at no cost. There are a number of premium PrestaShop extensions that are available for free use. A clean and modern design of the theme is enhanced with stunning visual effects, which are intended to grow the appeal of your site. 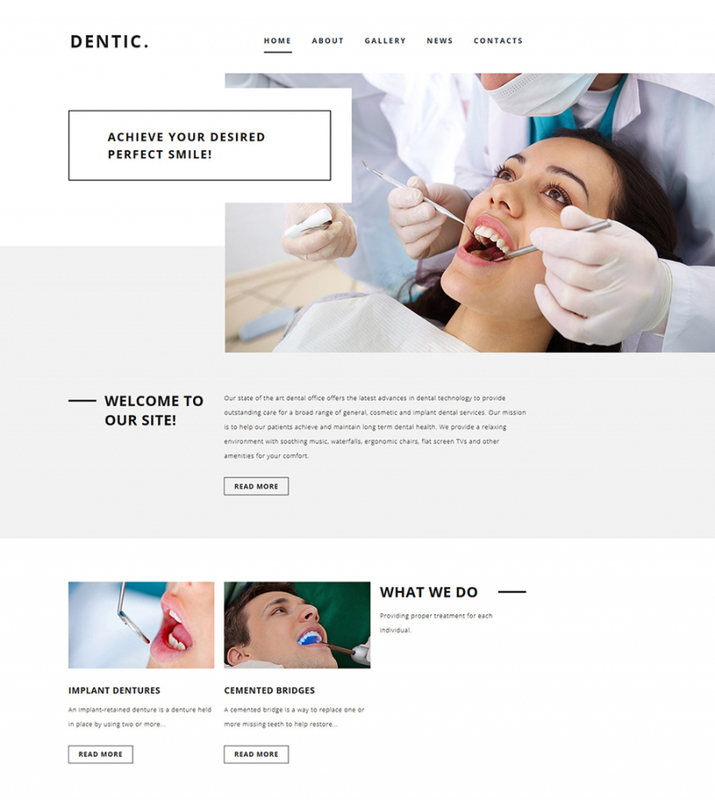 If you’d like to present your dentist, reconstructive surgery or plastic surgery center in the most impressive manner, check this responsive medical WordPress theme. Each element of this particular layout can be adapted to suit your business perfectly. Being integrated with popular social networks websites, the theme presented here will be a great tool to get in touch with your potential customers. A straightforward and helpful site is exactly what you need to set up a strong online presence. This well-structured web theme has a clean page layout for much better browsing. This responsive Magento template is designed to convert. This is a multipurpose web solution, which is integrated with a collection of 5 niche topics at absolutely no cost. 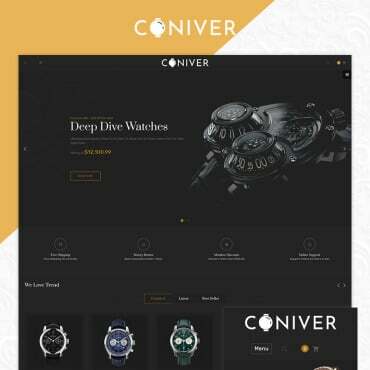 It runs on a fully responsive framework and includes a collection of UI elements, which are intended to spice up the visual appeal of your site. An advanced marketing toolbox and a collection of premium plugins are available for free use. This particular WordPress theme boasts a variety of effects and options that you can hardly see in any other template. This template will be the best fit for a number of business projects. It is intended to handle both startup and large corporate sites equally well. Clean, valid coding and well-done guidelines will aid you in altering theme exactly how you need. If your goal is building a captivating web project, then this state-of-the-art theme is just the thing you need. 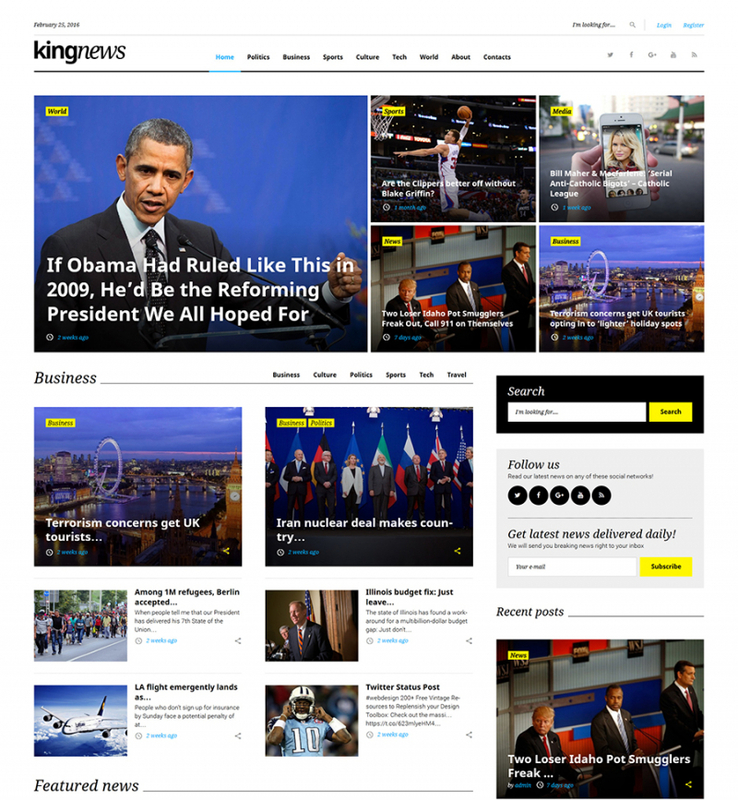 KingNews is a GPL-licensed WordPress template, which can be installed on an unlimited number of online resources. A well-balanced layout structure is intended to handle even content-heavy online projects perfectly well. A number of online magazines and newspapers will work flawlessly on its basis. The theme is loaded with a set of premium widgets, which will showcase every piece of your content perfectly well. 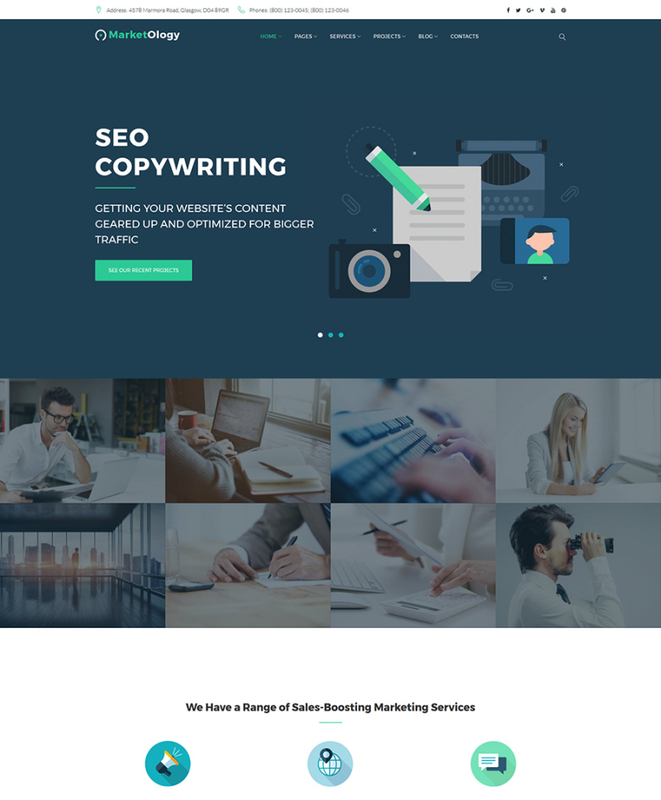 The business WordPress theme brought to you here is a straightforward nonetheless appealing solution for websites striving to build a professional online presentation. Owing to custom post types, each page of your web resource will have an exclusive look. The appealing design will work with an online project of any kind. Responsive design helps this web template perform equally well on any gadget providing steady traffic flow. This template here has been created to set up a strong community of site visitors and enable you to succeed in this. 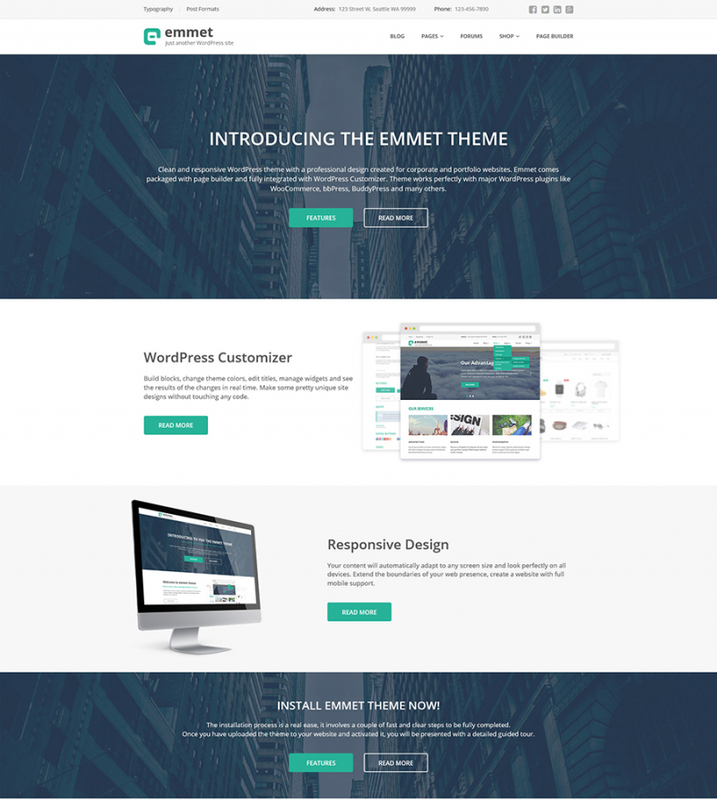 Emmet is a premade responsive business website template meant to deliver your online resource in the most favorable way on the web. 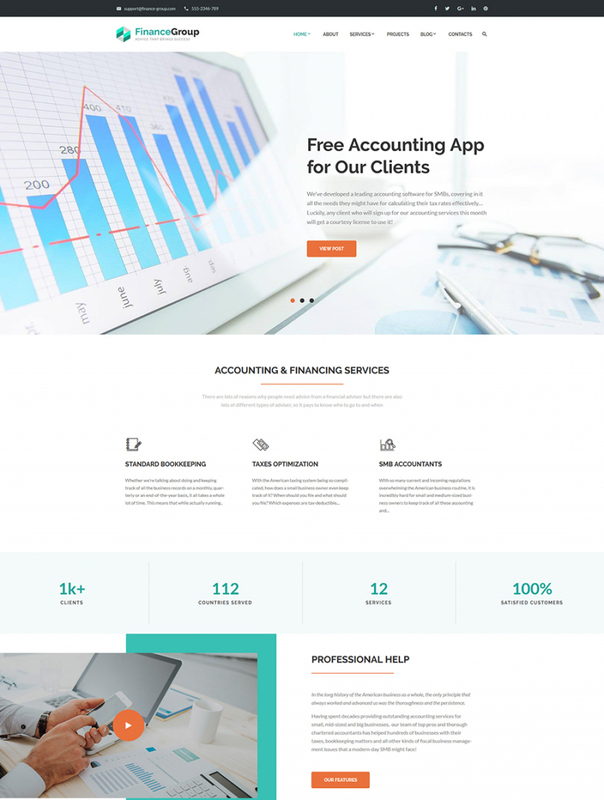 This web theme is mainly made for financial and accounting projects. Owing to custom post types, every page of your site will have an exceptional look. We offer you to mix style with usability via this template. Users will enjoy easy surfing around the site because of its intuitive navigation and content-wise structure. 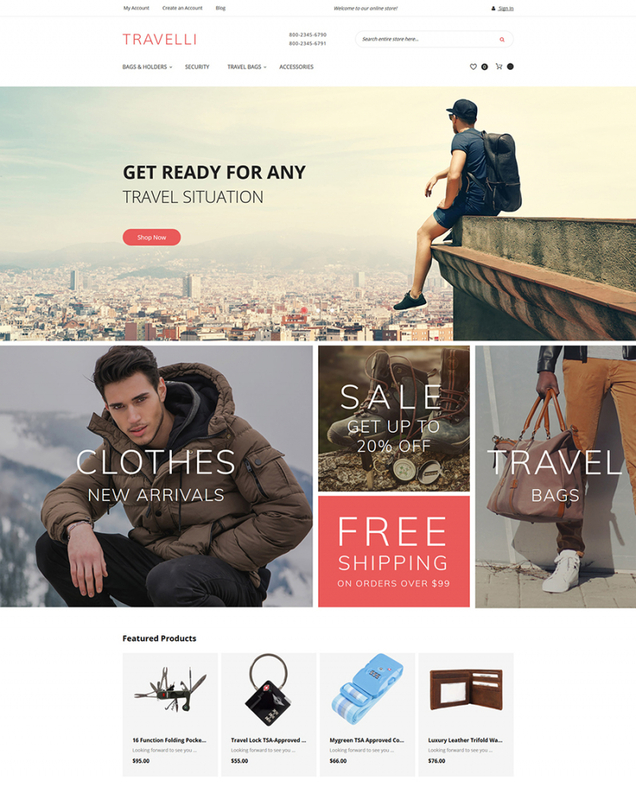 This travel shop Magento template eliminates the distance between you and the web users. Top-notch and extremely flexible website design with a clean look designed for tourist or sports equipment shops. It should not take you lots of time and effort to adjust the template since it comes loaded with outstanding functionality including rich font and color varieties. Richly documented and offering free 24/7 assistance, the website template will allow you get moving with your web project straight away. 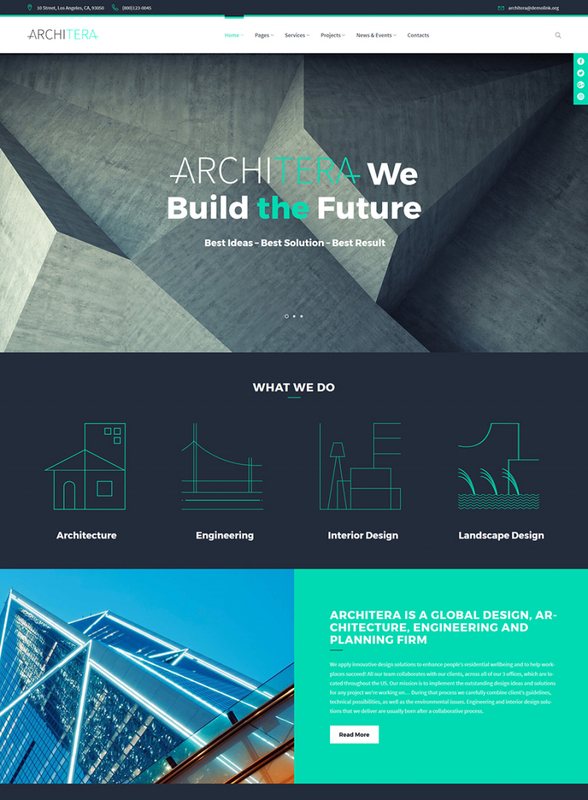 If you are looking for a trendy and pro design for your web page, then this WordPress architecture theme is the perfect pick. It is suggested for use as a base for design, furniture company or furniture warehouse web resource. This template is responsive and cross-browser compatible which makes UX definitely good on all modern-day devices. Well-documented and featuring no cost round-the-clock assistance, the particular web theme will allow you get moving with your internet project right away. 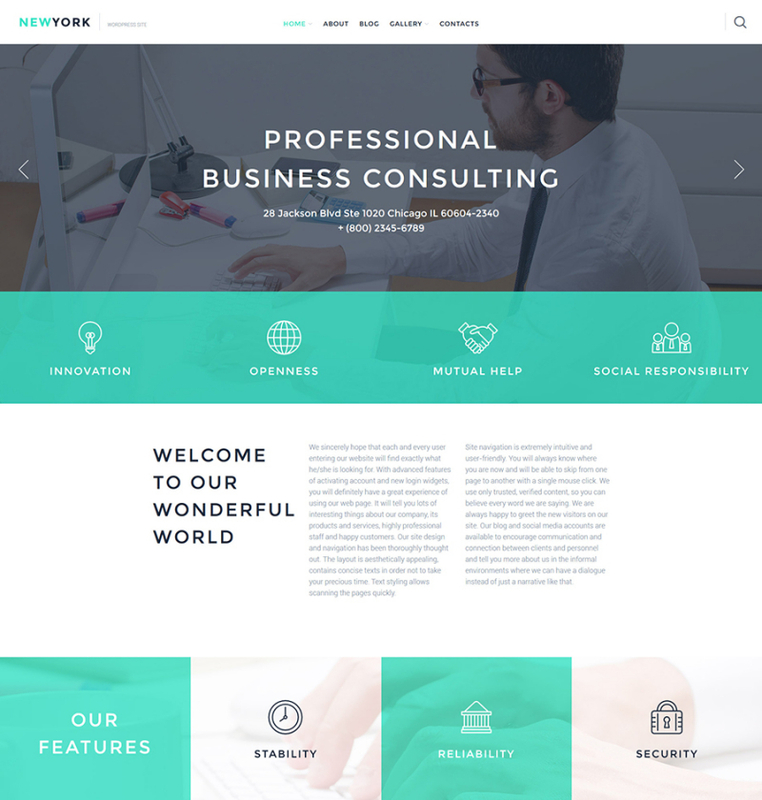 This design WordPress theme is a great solution for corporate and personal sites. 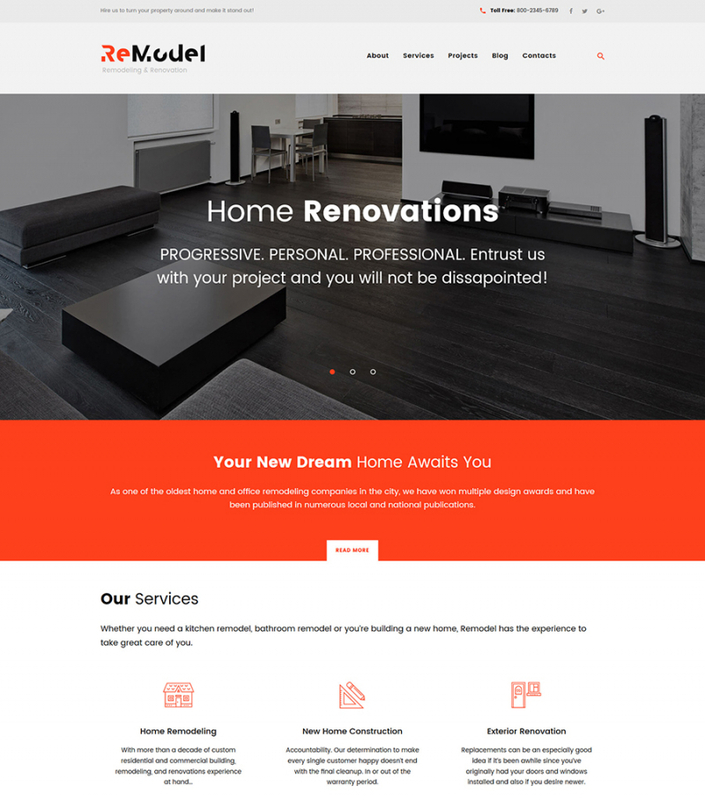 If your renovation company blog, design or furniture site needs a remodeling, take a look at this template. All components of the design are fully responsive, so you may rest assured that mobile phone and tablet users will appreciate steady browsing experience on the handheld gadgets. 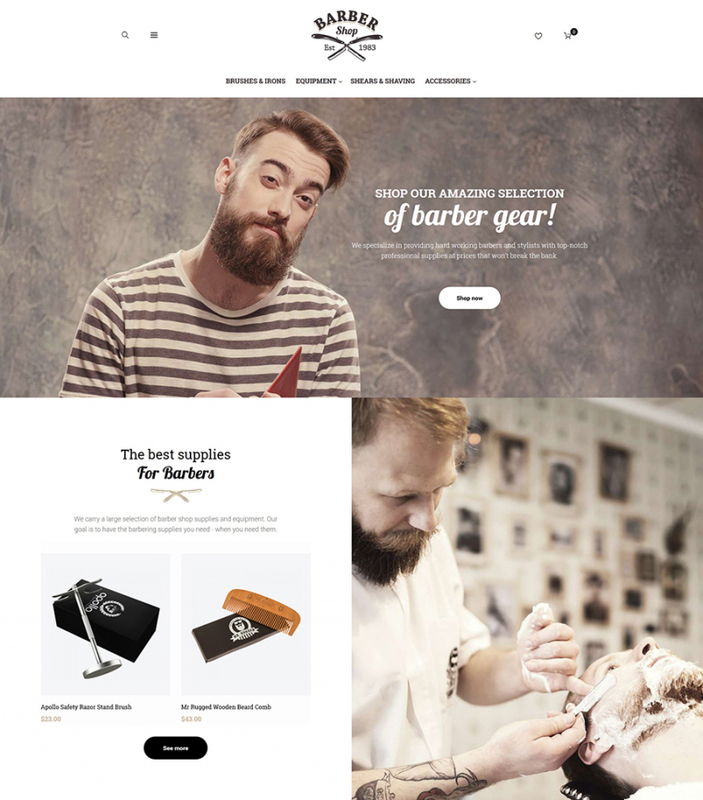 Choose this web template to bring more functionality and elegance to your website. Owing to custom post types, each page of your web resource will have an exclusive look. Consider this WordPress template to create a well-managed web page using a stylish layout and vibrant features. It will grow to be a great basis for financial and accounting web resources. Using custom post types, every page of your Internet site will have an exceptional look. Presented blocks of content, widgetized sections make the layout of the theme intelligible. 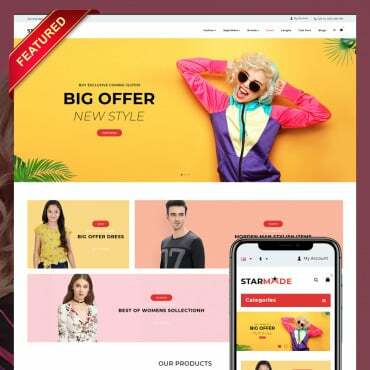 This particular multipage website template has a graphic-heavy layout perfect for a stunning presentation of your online project. 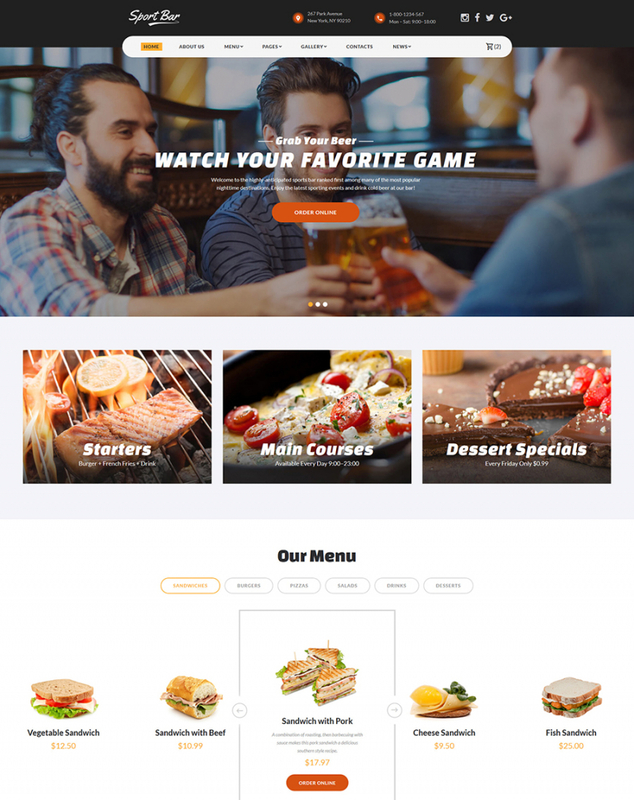 Working on a site for pushing a food-related project, make sure you make it responsive and functional. It includes a rich UI kit and several pre-designed blog layouts to choose from. 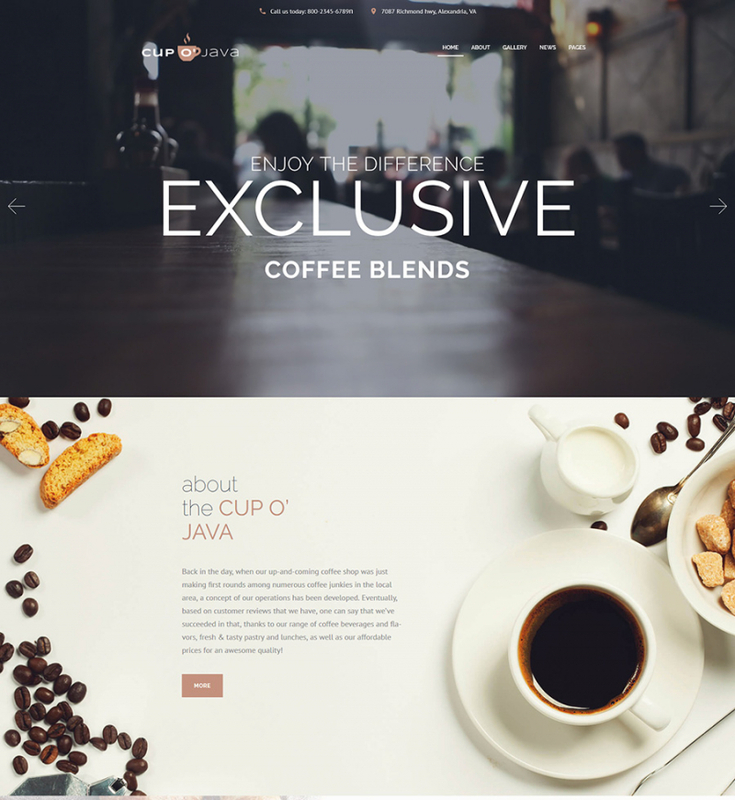 Multiple gallery types and a stunning parallax scrolling effect will make your online project more eye-catching. 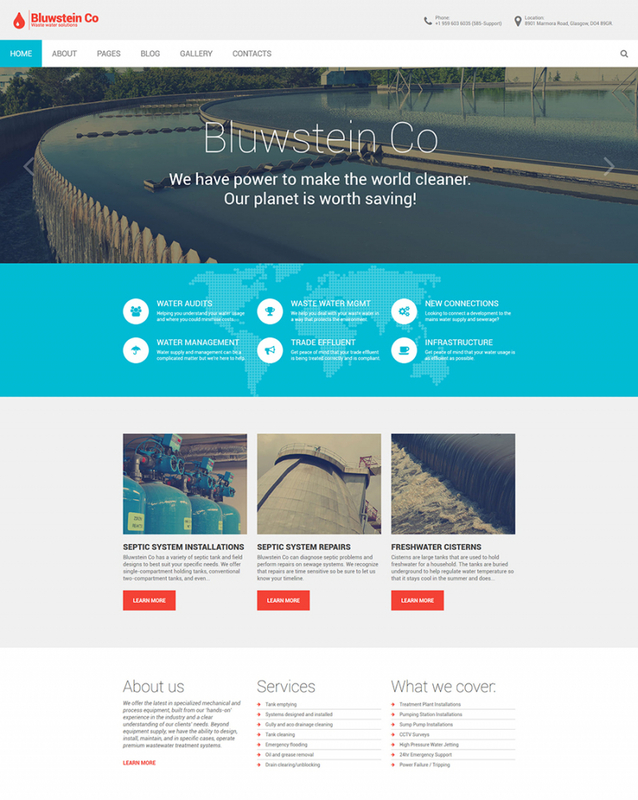 Get your webpage off to a flying start by means of this clean website template. 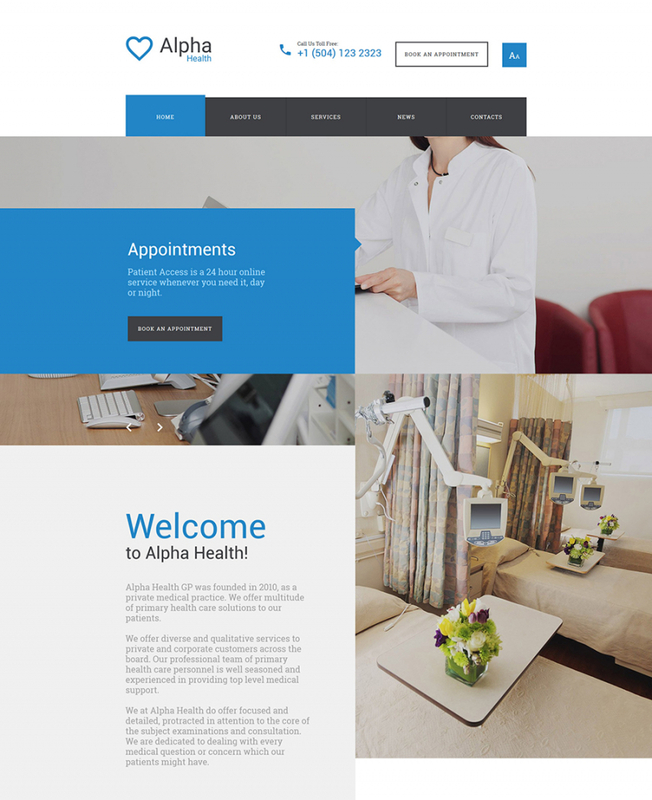 This design is quite suitable to present a number of medical projects on the net. The template is SEO optimized, which makes your site easy to find in search engines. This particular layout is fully responsive, and is made as a means to enhance your internet site’s rankings in search engines. Thanks to the integration of Novi visual page editor, there is no need to learn the code in order to tweak the theme’s layout. 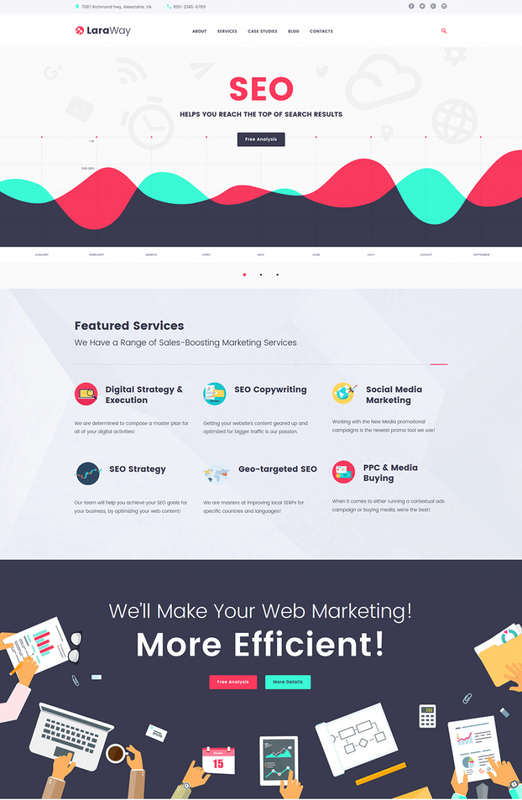 MarketOlogy is a responsive WordPress template with a polished layout and simple versatile design. You can be 100% confident in an impressive online performance of your marketing agency services using this template. A fully responsive layout will ensure a cutting edge performance on all current devices. 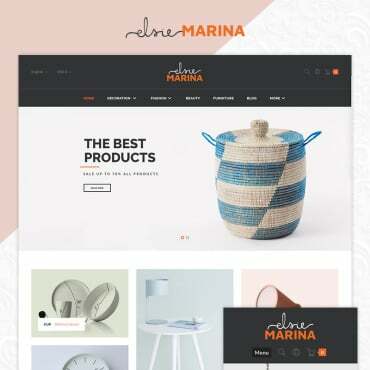 Pick out this pro WordPress theme to put together a powerful online project. Coming with in-depth instructions, it is user friendly for both professionals and beginner developers. 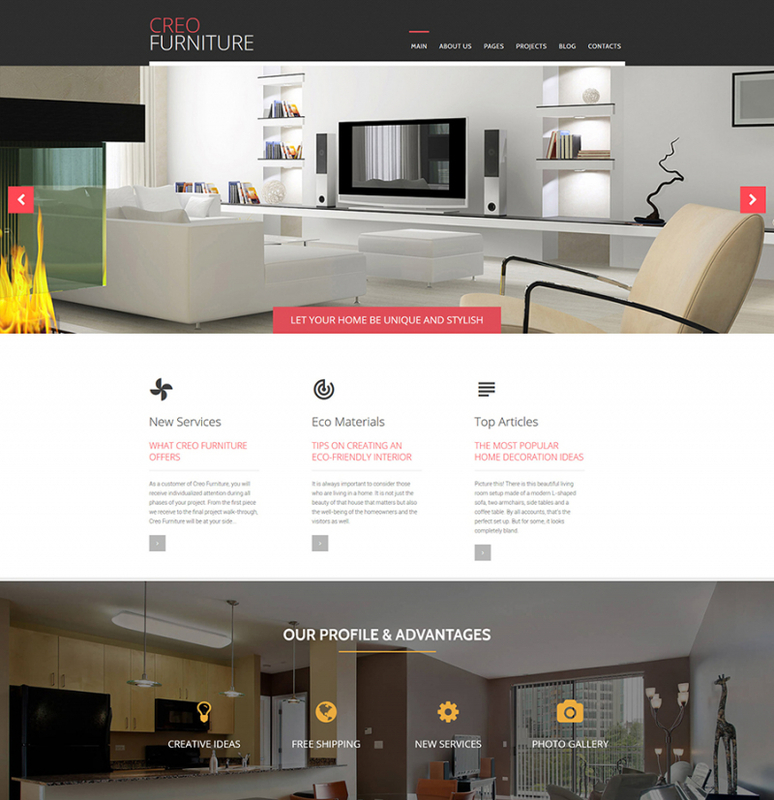 Furniture sites should appear eye-catching and competent, just like the web layout shown here. Focusing on the services delivered and company background, you will manage to build trust quite easily. Being integrated with well-known social networks platforms, the theme presented here can be a great solution to get in touch with your clientele. Your consumers will like your website with a smart arrangement of its layout. UI elements and custom page layouts will let you get started with your ideal online resource in no time. This particular Joomla theme will be a strong basis to boost your creative project on the internet. It comes with outstanding functionality for effortless maintenance. If you want your organization to sell products or services on the web, then VirtueMart integration will just come in handy. The visitors will certainly love this navigation and graphic elements that lead them swiftly through the website. Full-screen layout will adjust to any computer screen dimensions and accurately demonstrate all content, no matter what internet browser your site visitors use. 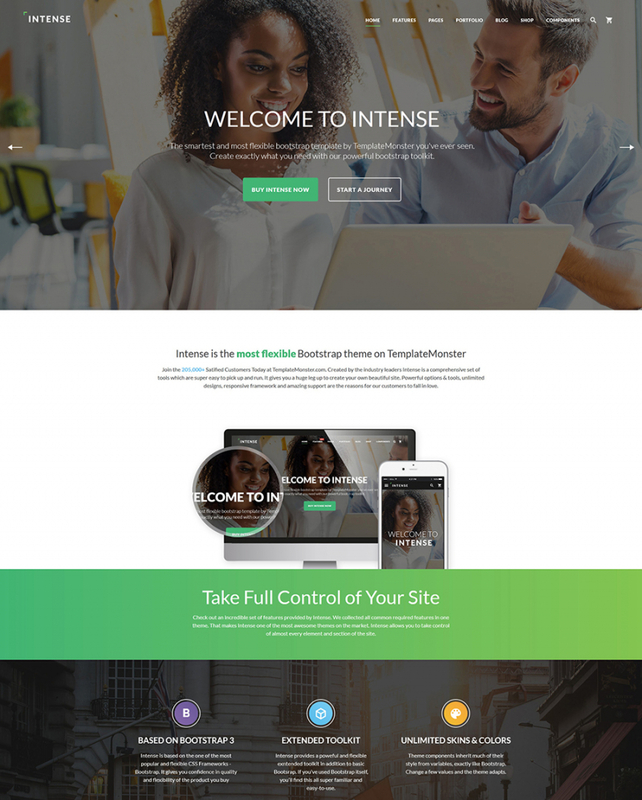 Monstoid2 is a powerful WordPress template representing the next generation of multipurpose web solutions. It includes literally every piece of functionality needed to get started with a web project of any level of complexity and for different business niches. 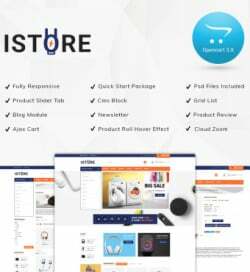 The theme features a growing collections of niche topics, eCommerce integration, premium plugins, custom widgets, and a handful of other options at no cost. Intense is a huge multipurpose theme that stands out with its impressive functional filling. It includes hundreds of pre-designed HTML5 pages for a variety of purposes. A collection of child themes gets expanded with new designs over and over again. 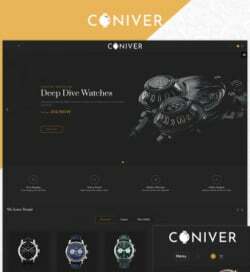 Limitless header/footer variations, sliders, animation effects, eCommerce integration, demo images, PSD files, and other options are included for free access. Probably the most remarkable thing about this Joomla template is the design and style. 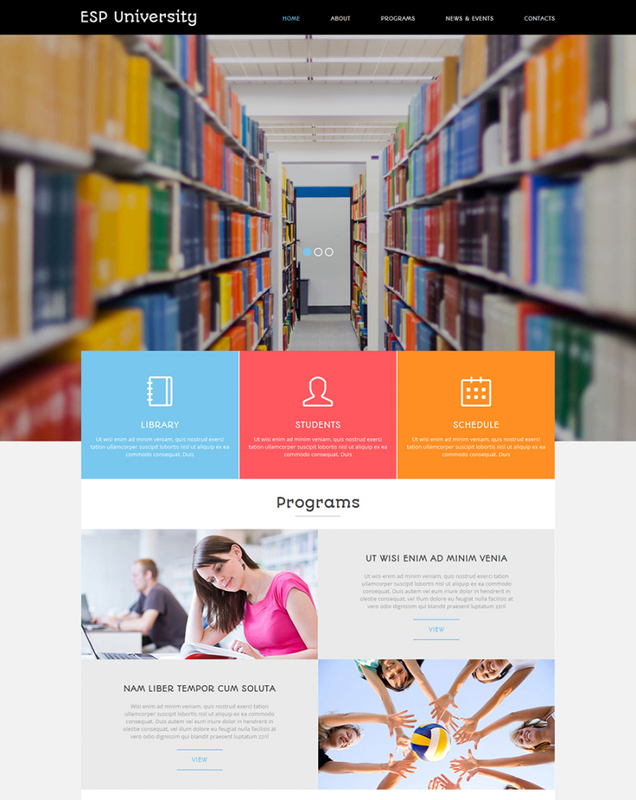 This unique website template is ideally suited for web pages representing educational projects. The core of this theme is centered on the fundamental techniques of today’s website development. This particular theme is a pro web design product that has an uncluttered layout. 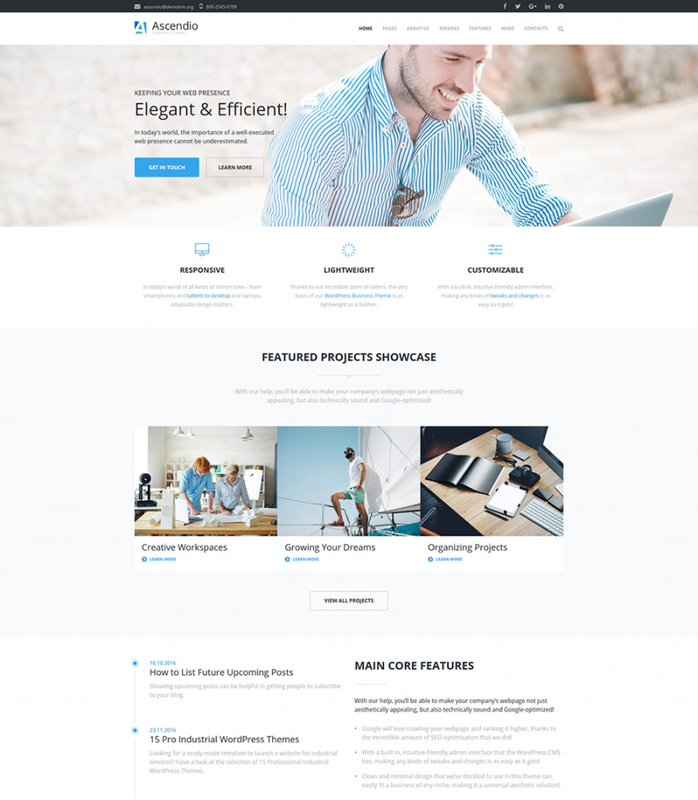 On the basis of this multipurpose website template, any business project will look spectacular. It features a highly flexible and dynamic layout, which can be tweaked by means of Novi page editor with ease. 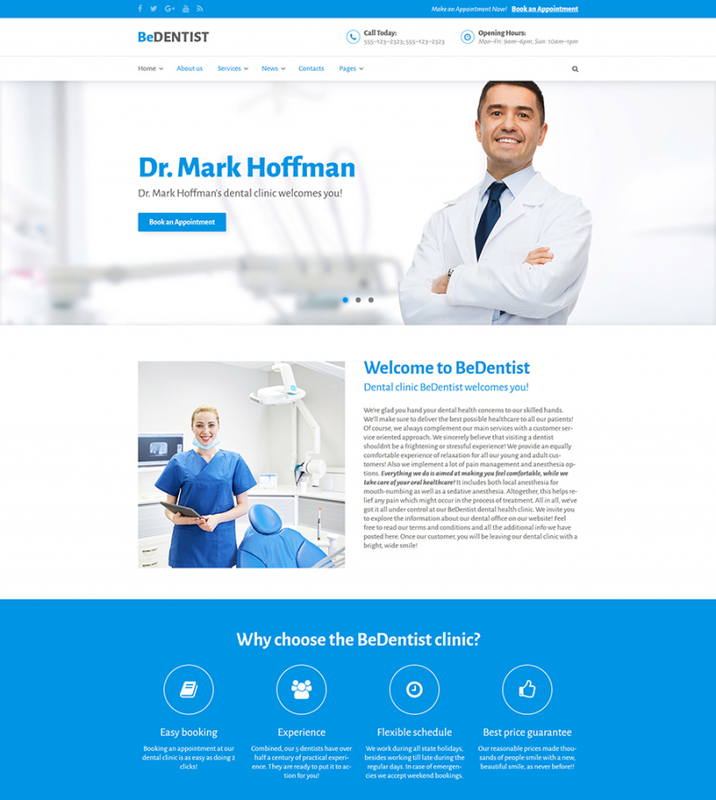 The theme is fully responsive and retina ready. It is intended to make all content of your website appear impressively well in any web environment. 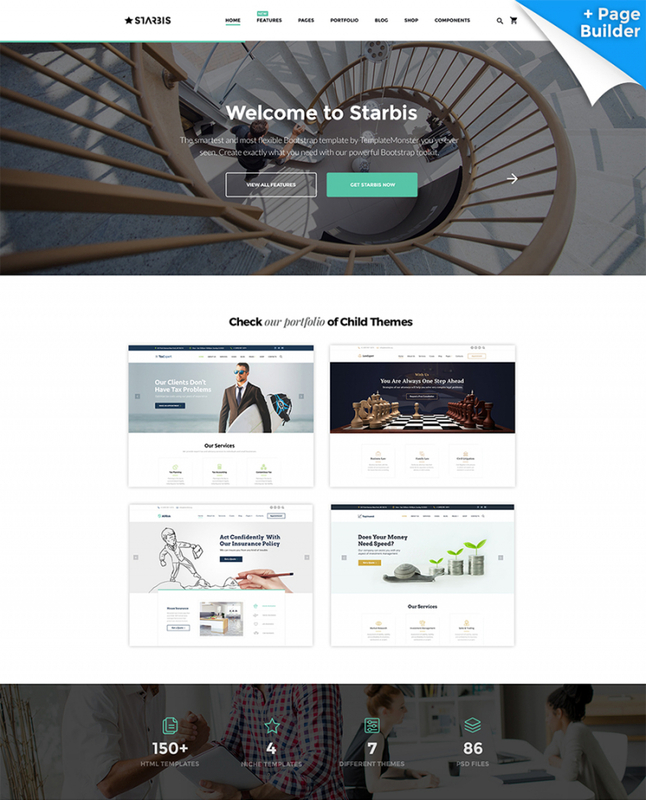 Starbis also features a growing collection of niche topics, custom pages, customization options, and so much more. 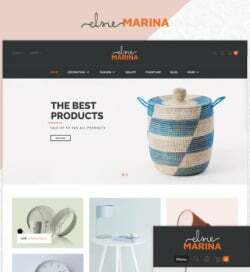 These were 30 of the latest and most popular themes that were in demand among templates.com customers in May. June is already here and we are anticipating to see more impressive web releases. So, stay tuned for more!